TDK Corp. recently extended its lineup of EMC components for audio lines by launching the MAF1005G noise suppression filter. The compact (1.0 mm × 0.5 mm × 0.5 mm) filter is well suited for noise suppression in audio lines (e.g., earphones, speakers, and mics) in devices such as smartphones and portable electronics. Featuring a high attenuation of cellular bands from 700 MHz to 2.5 GHz, the compact filter can suppress the spurious emissions from the cellular bands by up to 50 dB. Moreover, the new MAF1005G filters limit the audio signals’ THD+N to low levels. As a result, sound quality isn’t degradation in audio lines. 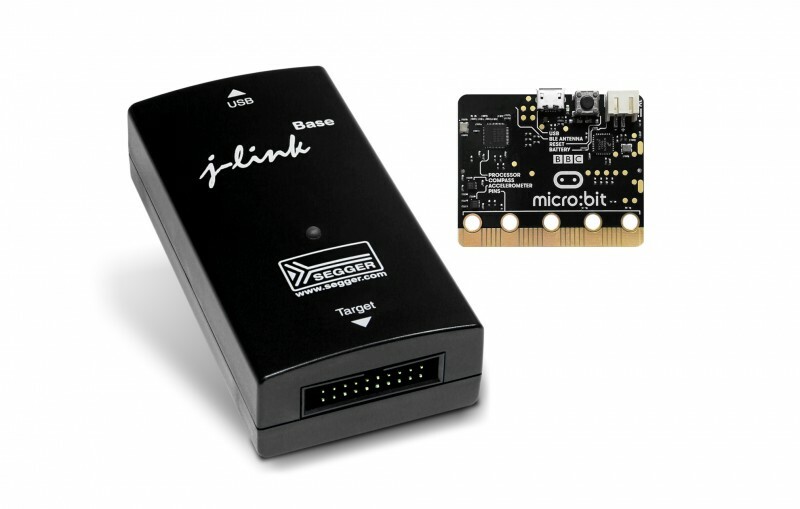 SEGGER recently announced J-Link support for the BBC micro:bit open development board. You can upgrade the firmware on the BBC micro:bit DAPLink to a J-Link OB. This firmware makes the BBC micro:bit’s on-board debug solution compatible with J-Link. Thus, you can use all J-Link features, including ultra-fast flash download and debugging speeds, the free GDBServer, and application development with an IDE. J-Link is supported in all major IDEs: IAR EWARM, Keil MDK, Rowley Crossworks, SEGGER Embedded Studio, and other Eclipse/GDB-based options. Intended to address security concerns in Industrial Internet of Things (IIoT) systems, Maxim Integrated Products’s MAXREFDES143# embedded security reference design enables you to protect your designs against counterfeit sensor data. Intended to simplify the development of secure, authenticated sensor-to-web data, the design is well suited for analog sensor node and data authentication in a variety of applications, including factory automation and industrial processing. The MAXREFDES143# IoT embedded security reference design is available for $75. Free hardware and firmware design files are posted online. 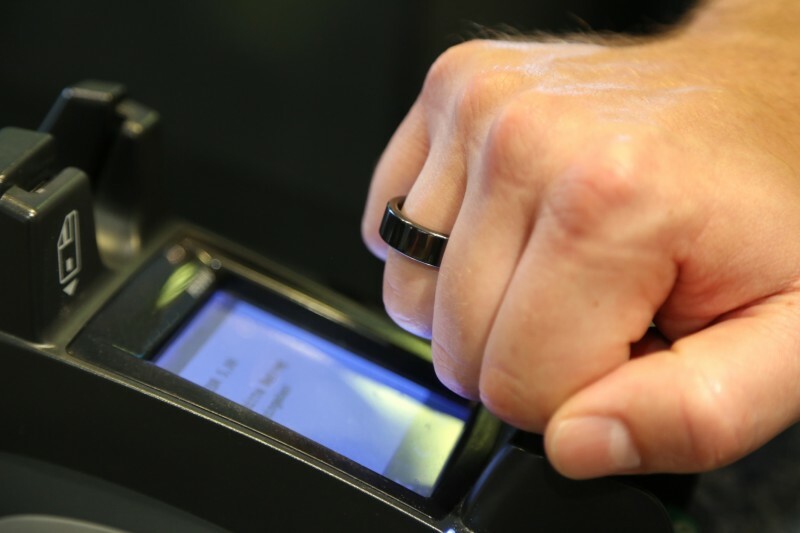 NFCRing’s new EMVCo-compliant, wearable payment ring features a Infineon Technologies contactless security chip. Operating like a contactless payment card, the ring enables users to pay for products via an EMVCo contactless-enabled payment terminal. The EMVCo’s member organizations include American Express, Discover, JCB, MasterCard, UnionPay, and Visa. The Infineon SLE 77CLFX2407P contactless security cryptocontroller chip enabled the ring’s designers to develop a wearable that doesn’t have a battery. The chip acquires the energy it needs from the electromagnetic field. The ring is available for $52. 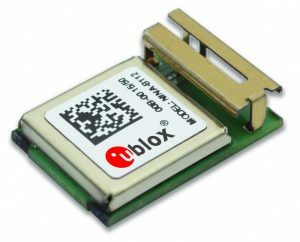 u-blox and Wirepas recently announced a partnership to offer an advanced decentralized radio communications solution for industrial Internet of Things (IoT) applications. Comparable with advanced mesh technology, the solution is intended to make large-scale, decentralized industrial IoT networks easy to deploy. Certified for use in several countries, NINA-B1 is a compact, stand-alone Bluetooth low energy (BLE) module intended for a variety of applications, including as connected buildings and telematics. With Wirepas Connectivity software, the NINA-B1 enables you to develop easy-to-install, large scale, industrial IoT applications. BittWare recently announced the availability of Arria 10 FPGA Board Support Packages (BSPs) for Altera’s OpenCL SDK 16.0.2. With BittWare’s OpenCL BSPs, you can start developing applications for Altera’s Arria 10 1150GX FPGA using OpenCL. Using OpenCL, you can code your systems and algorithms in a high-level C-based framework and directly create FPGA programming files from a pure software development flow. The applications are endless, from use in data centers to defense/aerospace systems. BittWare ‘s Arria 10 BSPs are well suited for acceleration applications such as machine learning. The High Performance Computing (HPC) BSP is the traditional OpenCL model, using a host that moves data to the accelerator system over PCI Express (PCIe). The BSP platform is the standard platform for OpenCL accelerators. In addition, BittWare can provide custom BSPs specifically tailored to your requirements. BittWare offers an OpenCL Developer’s Bundle comprising a low-profile Arria 10 1150GX FPGA-based PCIe board, BittWorks Lite II software tools, Altera’s OpenCL SDK, and Altera’s Quartus II. You can also get the Developer’s Bundle with a Stratix V board. The Arria 10 OpenCL Bundle and BSP are currently available. Contact BittWare for pricing. With the advent of the Internet of Things (IoT), the need for ultra-low power passive remote sensing is on the rise for battery-powered technologies. Always-on motion-sensing technologies are a great option to turn to. Digital cameras have come light years from where they were a decade ago, but low power they are not. When low-power technologies need always-on remote sensing, infrared motion sensors are a great option to turn to. Passive infrared (PIR) sensors and passive infrared detectors (PIDs) are electronic devices that detect infrared light emitted from objects within their field of view. These devices typically don’t measure light per se; rather, they measure the delta of a system’s latent energy. This change generates a very small potential across a crystalline material (gallium nitride, cesium nitrate, among others), which can be amplified to create a usable signal. Infrared technology was built on a foundation of older motion-sensing technologies that came before. Motion sensing was first utilized in the early 1940s, primarily for military purposes nearing the end of World War II. Radar and ultrasonic detectors were the progenitors of motion-sensing technologies seen today, relying on reflecting sound waves to determine the location of objects in a detection environment. Though effective for its purpose, its use was limited to military applications and was not a reasonable option for commercial users. This essay appears in Circuit Cellar 314 (September 2016). The viability of motion detection tools began to change as infrared-sensing options entered development. The birth of modern PIR sensors began towards the end of the sixties, when companies began to seek alternatives to the already available motion technologies that were fast becoming outdated. Saving Energy—PIDs are energy efficient. The electricity required to operate PIDs is minimal, with most units actually reducing the user’s energy consumption when compared to other commercial motion-sensing devices. Inexpensive—Cost isn’t a barrier to entry for those wanting to deploy IR motion sensing technology. This sensor technology makes each individual unit affordable, allowing users to deploy multiple sensors for maximum coverage without breaking the bank. Durability—It’s hard to match the ruggedness of PIDs. Most units don’t employ delicate circuitry that is easily jarred or disrupted; PIDs are routinely used outdoors and in adverse environments that would potentially damage other styles of detectors. Simple and Small—The small size of PIDs work to their advantage. Innocuous sensors are ideal for security solutions that aren’t obtrusive or easily noticeable. This simplicity makes PIDs desirable for commercial security, when businesses want to avoid installing obvious security infrastructure throughout their buildings. Wide Lens Range—The wide field of vision that PIDs have allow for comprehensive coverage of each location in which they are placed. PIDs easily form a “grid” of infrared detection that is ideal for detecting people, animals, or any other type of disruption that falls within the lens range. Easy to Interface With—PIDs are flexible. The compact and simple nature of PIDs lets the easily integrate with other technologies, including public motion detectors for businesses and appliances like remote controls. With the wealth of advantages PIDs have over other forms of motion-sensing technology, it stands to reason that PIR sensors and PIDs will have a place in the future of motion sensor development. Though other options are available, PIDs operate with simplicity, energy-efficiency, and a level of durability that other technologies can’t match. Though there are some exciting new developments in the field of motion-sensing technology, including peripherals for virtual reality and 3-D motion control, the reliability of infrared motion technology will have a definite role in the evolution of motion sensing technology in the years to come. 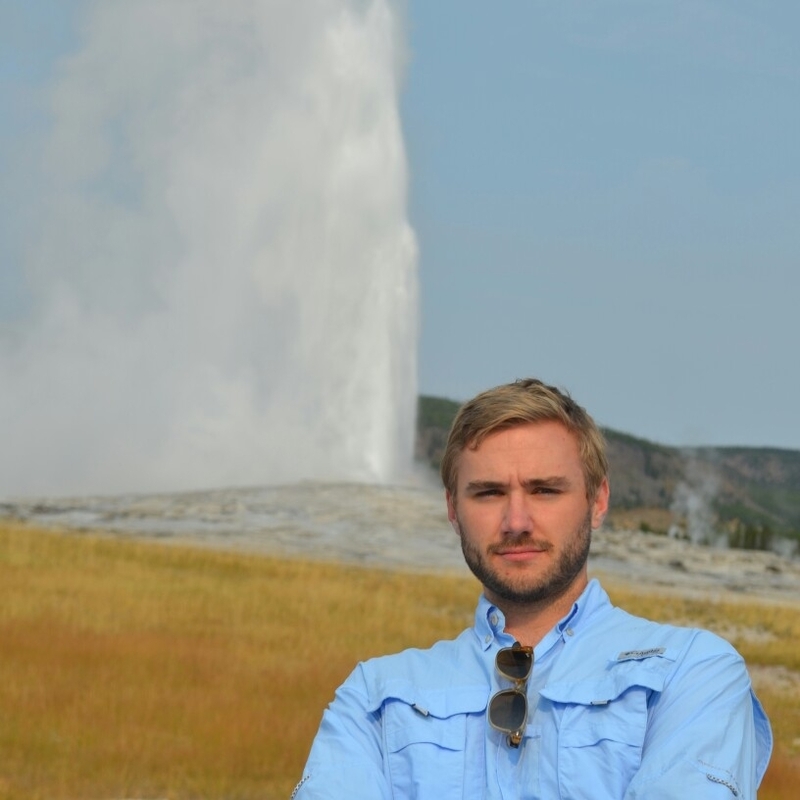 As the Head Hardware Engineer at Cyndr (www.cyndr.co), Kyle Engstrom is the company’s lead electron wrangler and firmware designer. He specializes in analog electronics and power systems. Kyle has bachelor’s degrees in electrical engineering and geology. His life as a rock hound lasted all of six months before he found his true calling in engineering. Kyle has worked three years in the aerospace industry designing cutting-edge avionics. Colin O’Flynn is a Halifax, Canada-based engineer (and Circuit Cellar columnist) who recently launched a company to commercial some of the research he’s done as a PhD student working on embedded hardware security. His Chipwhisperer Lite is a board that you can use to learn about various side-channel attacks. The ChipWhisperer Lite contains a Xilinx Spartan 6 LX9 FPGA and Atmel SAM3U2C microcontroller. According to O’Flynn, any engineer who needs to use encryption in a design should be able to perform a side-channel attack. The idea is to determine the consequences of such an attack on their product. In the following video, O’Flynn talks about his work. 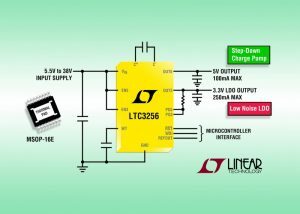 Linear Technology’s new LTC3256 is a high-voltage, low-noise, dual-output power supply that takes a single positive input and generates 5- and 3.3-V step-down supplies with high efficiency and no inductors. 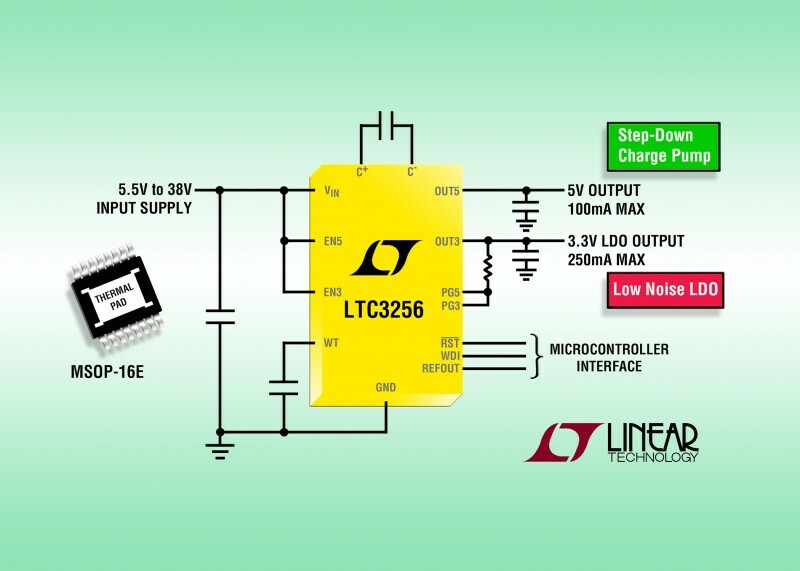 Featuring a 5.5-to-38-V input voltage range, the LTC3256 includes independently enabled dual outputs: a 5-V, 100-mA supply and a 250-mA, 3.3-V low-dropout (LDO) regulator for a total of 350 mA available output current. This combination of regulators offers much lower power dissipation than a dual-LDO solution. The device is well-suite for a variety of applications, including automotive ECU/CAN transceiver supplies and general-purpose 12-to-5-V and 3.3-V conversion. SEGGER recently added Open Flash Loader capabilities to its J-Link, J-Trace, and Flasher offerings. This gives you the flexibility necessary to take advantage of the enhanced features incorporated into the J-Link debug probe solutions by adding support for new target devices. 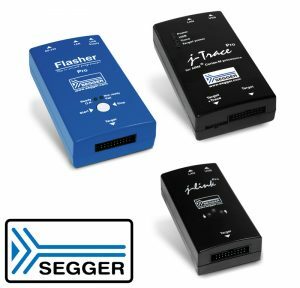 You can use the target devices in the same way as the target devices currently supported by SEGGER, with direct flash download functionality in all related IDEs and debuggers, including GDB-based tool chains (e.g, Eclipse). For target devices implemented with the Open Flash Loader, you can also add an unlimited number of breakpoints in flash memory. Silicon vendors can implement support for new devices at the early stages of the development process, even before first silicon samples have been fabricated. Furthermore, they’ll find it useful where the flash programming algorithm utilized must be kept confidential. End users also benefit, especially when flash loaders will be working in conjunction with special external memories. 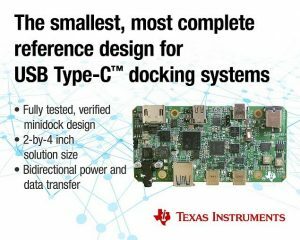 Texas Instruments recently introduced a multiport USB Type-C and Power Delivery (PD) minidock reference design, which you can power it via a traditional power adapter, USB Type-C adapter, or notebook computer. The reference design—which that provides audio, USB data, power, and video support—offers a fully tested plan for a compact 2” × 4” dock. A TPS65982 USB Type-C and PD controller sits at the core of the USB Type-C and Power Delivery Minidock. It enables dual-role port USB Type-C functionality, and thus it’s capable of delivering 60 W of power and supporting DisplayPort Alternate Mode and USB data transmission. In addition, the design features the TPS65986 USB Type-C and PD controller, an HD3SS3212 SuperSpeed multiplexer, a TUSB321 dual-role port controller, and an HD3SS460 Alternate Mode multiplexer, which work together to provide dual-role port capability for power, data, and video transfer. Smallest solution size enables you to develop up to 50% percent smaller docking stations compared to similar systems. Fast development time: All integrated circuits (ICs) within the design are compliant with the current USB Type-C and PD standards, simplifying and speeding engineers’ design cycles. 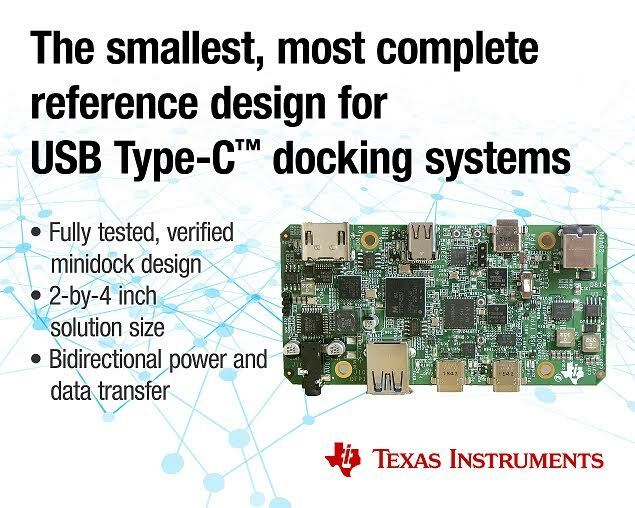 The minidock TI Designs reference design (TIDA-01243) is now available for download. Additionally, an evaluation module allows designers to quickly evaluate and implement their minidock designs. The USB-CTM-MINIDK-EVM costs $499. Infineon Technologies recently introduced a new family of Hall sensors targeted at cost-effective, compact designs. Available as latch and switch-type devices, the sensors in the TLx496x family have precise switching points, stable operation, and a low power consumption. The TLx496x Hall sensors consume no more than 1.6 mA. In addition, they have an integrated Hall element, a voltage regulator (to power the Hall element and the active circuits), choppers (ensure that the temperature remains stable), an oscillator, and an output driver. 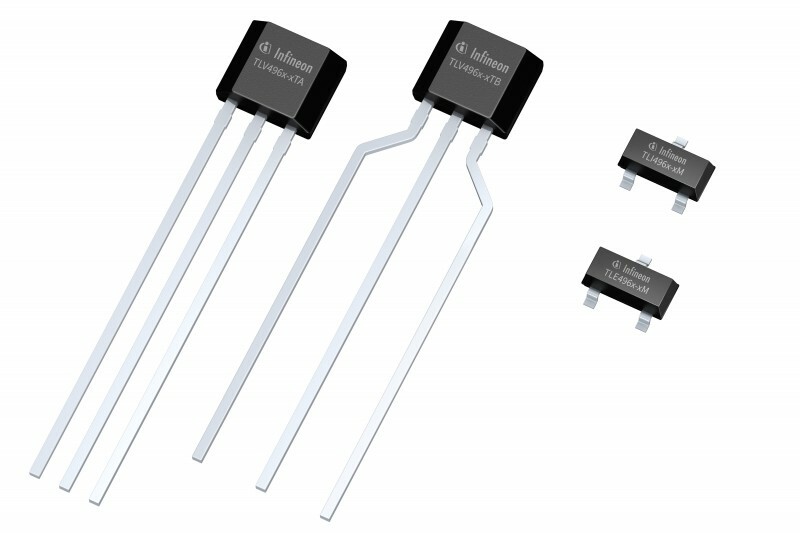 The TLE496x-xM series is well suited for automotive applications (e.g., power windows and sunroofs, trunk locks, and windshield wipers) with an operating voltage of 3 to 5.5 V. The TLI496x-xM series units function like the TLE496x-xM units, but it is specified for a temperature range of –40° to 125°C and is JESD47 qualified. The TLI496x-xM is used in BLDC motors in e-bikes and fans in PCs and in electric drives in building automation. The TLV496x-xTA/B series was specifically developed for the cost-effective, contactless positioning. Typical applications are BLDC motors in home appliances (e.g., dishwashers), compressors in air-conditioners, and more. Despite the pressure to cut costs, these applications need very precise Hall latches or Hall switches (unipolar/bipolar) for temperatures ranging from –40 °C to 125 °C. The TLV496x-xTA/B versions have a power consumption of 1.6 mA and an ESD protection up to 4 kVH Human Body Model (HBM). The output has overcurrent protection and automatically switches off at high temperatures. The Hall sensors of all three series are available in high volume. Development support includes online simulation tools and application manuals. Recent automobile hacks (e.g., the Chrysler Jeep hack) have many engineers focusing on security in the connected car. Mentor Graphics will focus on this topic in a live webinar on August 10. Interested in wafer-packaged NAND flash storage solutions? 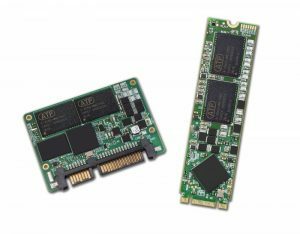 ATP Electronics recently launched a new generation of storage solutions using the latest 3D NAND flash technologies. These new 3D NAND-based SSDs are targeted at the industrial and embedded markets for industrial, IoT, medical, automotive, and telecom applications. ATP provides various chip densities using DDP, QDP, and even ODP die-stacking while using the same wafer stock. This offers flexibility in supply chain, and also enables ATP to ramp multiple product densities quickly. The new 3D NAND solutions are reliable, cost-effective storage solutions. Silicon Labs recently added new lower-power member to its line of USBXpress bridge devices. The CP2102N USB controller provides a simpler faster way to add USB connectivity to your embedded designs. Offering advanced functionality in QFN packages as compact as 3 mm × 3 mm, the CP2102N is intended for a variety of portable, space-constrained applications, such as USB dongles, gaming controllers, and wearable medical devices. Prices for the CP2102N begin at $0.91 in 10,000-unit quantities. The CP2102N-EK evaluation kit costs $25.